This quote refers to the original, 1967 model of which only 20 were built plus 4 prototypes. Contrast that with the model that resurrected the name in 2016: it sold out as soon as it was launched at the Geneva auto show, and 991 copies of that type would be built. 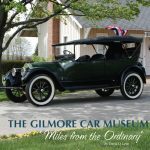 Both cars share the “R” designation and also a specific design philosophy but they really are quite different machines, the original a dedicated race and rally car—loud, hot, bare-bones stripped down—and the new one a rather more civilized roadgoing sports car. 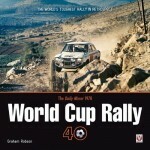 And, each had quite a different impact on Porsche history, especially motorsports history. All this is a long wind-up to say that this book, which covers both and in fact devotes about half its pages to each is bound to make one camp or the other grumble that “their” model deserved more than the other. Well, there is no right answer to this conundrum and while there will always be more worlds within worlds to investigate, this book delivers those things a book by this publisher and these authors is expected to bring: hard data, cohesive exposition of the life cycle from raw idea to last breath, thorough lists of all the minutia that keeps car geeks up at night, and superlative production values and design. This way of working means TAG has produced only 5 books in 25 years. 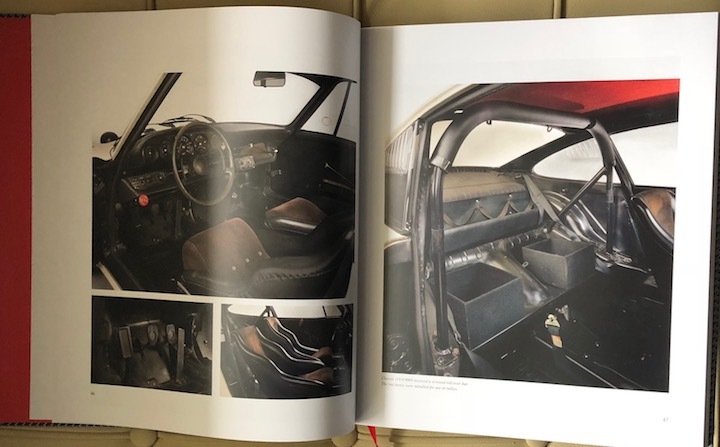 If you are a serious 911 enthusiast there’s a good chance you have TAG’s third book, Carrera RS, which, strictly speaking, was a revision of No. 1, first published some 20 years earlier (1992) to lasting fame. In other words, the author team of doctors Konradsheim and Gruber, with Mäder on the design end since No. 2 and also CEO since 2016, has been at it long enough to know how to prune a subject into a form that enables their books to remain reference-level benchmarks long after the piles of lesser books have been remaindered and become landfill. Befitting the two cars’ different footprints the book covers them differently. In both cases, design and development, predecessors, the business case, and manufacturing realities are discussed. Early experiments with fiberglass and also the mental acrobatics of finding the philosophically correct price point in the overall 911 model line-up and then specc’ing the car accordingly will be of interest to anyone who can appreciate how hard it is for a small maker to carve out their place on the foodchain. 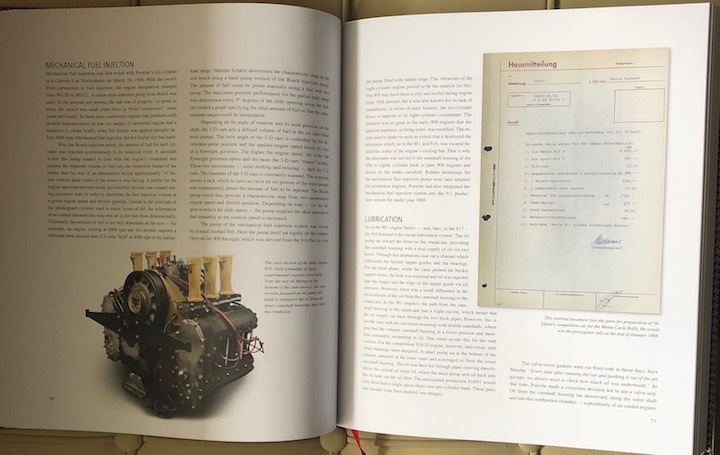 The fact that a good number of Porsche engineers have been interviewed means the book can draw on primary sources. 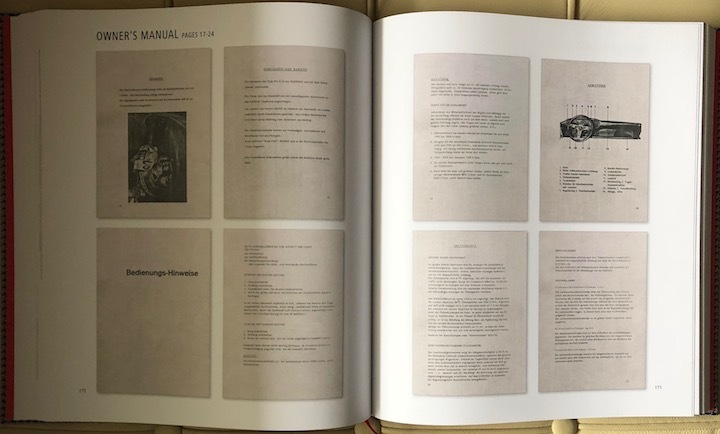 For the older car, various bits of original documentation are reproduced such as the entire owner’s manual and several pages from technical manuals and spare parts lists and the like. The discussion of the new car obviously involves the GT3/GT3RS and all around goes a bit deeper into tech, simply because there’s more of it in the modern car. There are also many more options, colors, and configurations to examine. 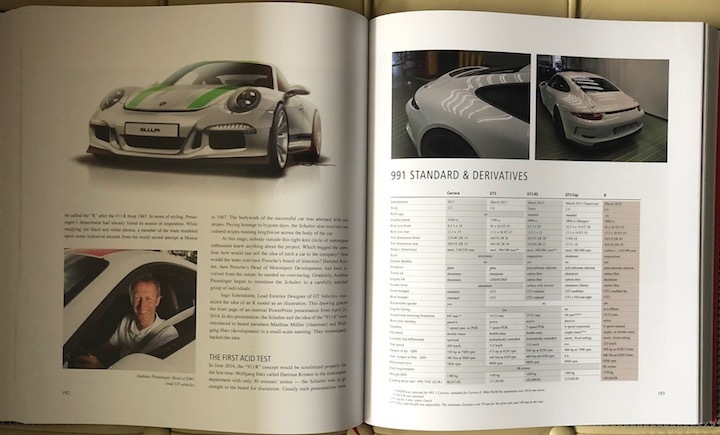 All 991 cars are listed by chassis/VIN with specs and delivery county-specific features, and appended are samples of factory documentation. The Index contains only people and there’s a basic Bibiography. 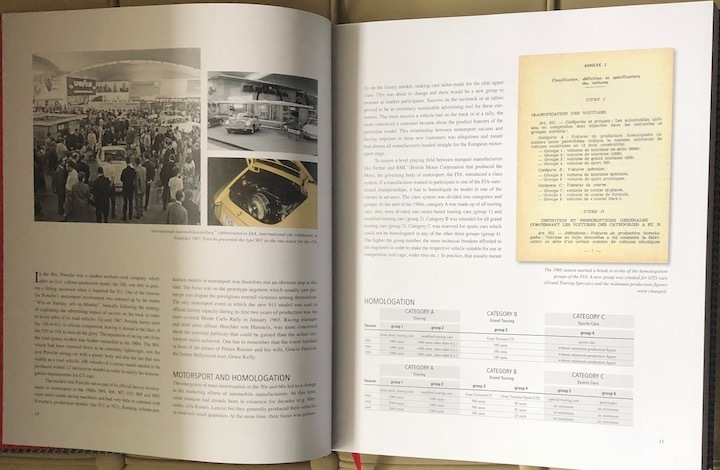 Since design is a specific priority for TAG it is worth singling out the two pages (l) that have photos with overlays of clear acetate to show the modern car’s architecture. 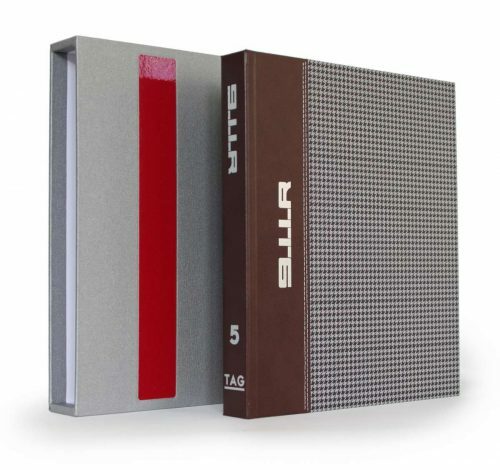 Also, the book cover is not just clever in its use of the iconic brown/houndstooth upholstery material but such is the attention to detail that it actually has raised stitching. 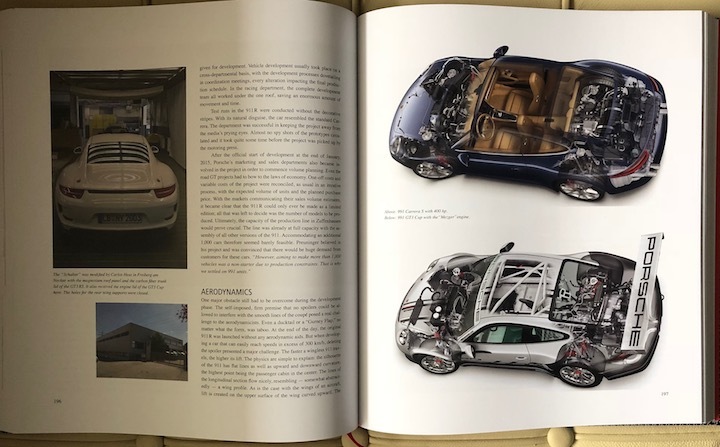 The Porsche 911R is certainly having a moment these days, not just in terms of collector car prices but also literature (at least three noteworthy new books). 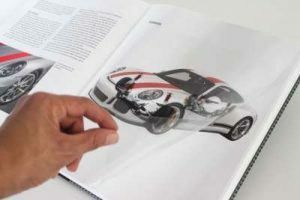 A book like this makes you want to be a 911 owner, just to have a legitimate reason for owning it. Or, buy it anyway and call it an investment. (Come to think of it, the book is just a touch more expensive than the two optional color-matched ignition keys of the new R!) It doesn’t help that TAG books are issued in only small runs and that the lion’s share goes towards fulfilling pre-orders. Speaking of numbers, the German version of this book is limited to 911 numbered copies, the English to 1500. Incidentally, the English translation is very well done!